Kiev Market owner Olga Filenko. If a Russian invites you over for tea, it usually means it's time to loosen that waist band, because "tea" entails several entrees and dishes. At least that was true in my mom's case, when she issued these invitations. Often my American friends were bewildered, yet delighted, when they assumed "come in for tea" meant a scone and a hot cup, but found a table arrayed with an assortment of dishes. Oh, you're not hungry, you say? No such thing. When my siblings and I were growing up, our culinary experiences at home were foods that my own parents had back at the motherland — for them, that meant Kyrgyzstan. They recreated what they were served as children, and so the recipes never felt lost. The ingredients were always easy to obtain thanks to Slavic/European stores like Kiev Market in Spokane. I'd accompany them there, waddling in, running to the candy aisle and pleading for treats, while my parents had their eyes set on piroshki, a Russian pastry that can be savory or sweet, or something that they could cook up at home. What annoyed me then is the most endearing thought to me now; that they were stopped half the time to be greeted in their native language by people they knew. I have a staunch suspicion their loyalty to these markets also comes from a feeling of familiarity and belonging. I asked my dad, Aleksandr Drokin, what was difficult and what he missed the most when he first emigrated to America. He said the hard part was the language barrier. "We missed the ordinary, socializing normally with neighbors, being understood... I felt nostalgia over that," he says. For some, Kiev Market is a fun place and an opportunity to be adventurous with their taste buds. For immigrants like my parents, it feels like a semblance of home. 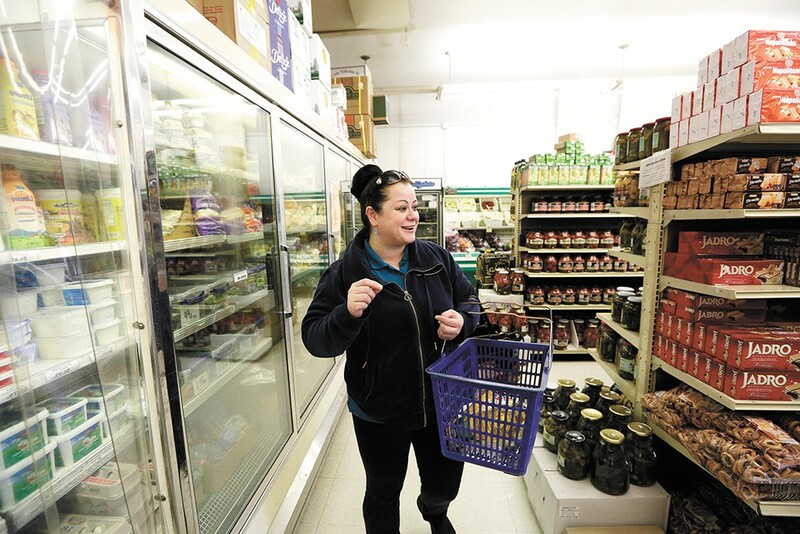 "I love to go to the Russian market, because there's all this food there that reminds me of the taste of childhood and the flavors of the food that my parents would cook," says Oksana Savchenko, a customer. "When I want to prepare food from our culture for my children, then I'll go to the Russian store and get something there." Kiev Market owners, husband and wife Olga and Anatoliy Filenko, also refugees from Ukraine, bought the two existing Kiev Markets 13 years ago when the former owner decided to sell. The Filenkos later added a third location. At the time, Olga had been working for Kiev Market for five years, performing various duties like putting in orders, and she didn't want to lose her job. She says that at her age, owning the markets felt like the right next step. Her children and their spouses often work in the shops and help out in different ways. 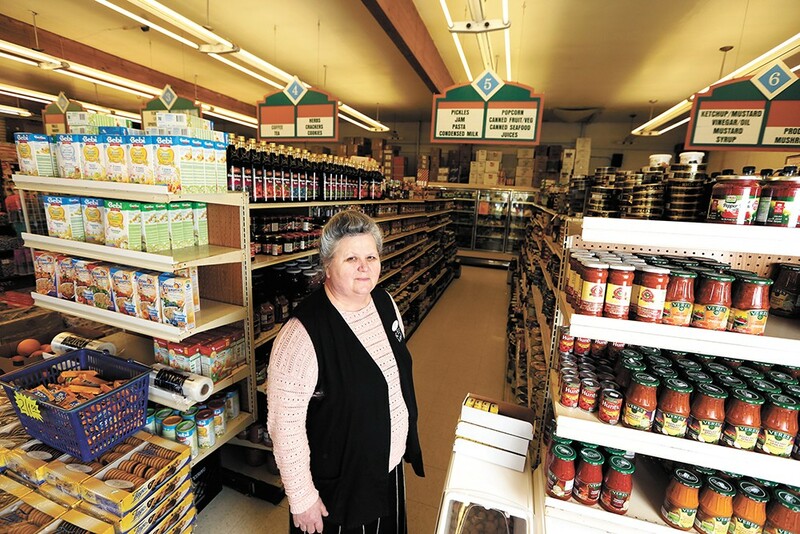 Olga says that these markets are special, because of the myriad foods they offer. One distinction between the products found at the European markets and American stores is the preparation and flavors. For instance, there is a wide assortment of fish available in all forms. 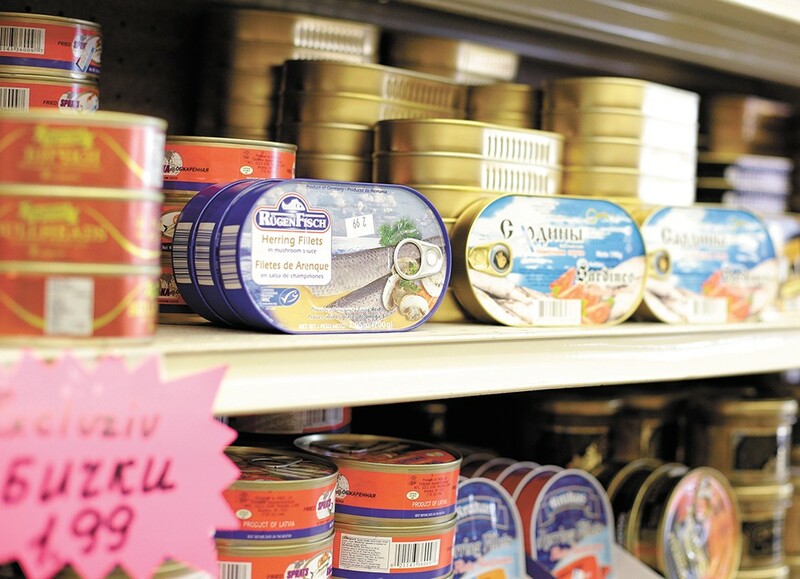 Kiev sells dry fish — think along the lines of beef jerky — smoked salmon and even pickled herring. Many Eastern European side dishes include ingredients with vinegar, so there are pickled jars of cabbage, tomatoes, cucumbers and garlic available to accompany a meal. Svetlana Dedkov strolls through the shop. Kielbasa, essentially a sausage or salami, ranges from veal and pork to chicken in many styles, including German and Polish with a selection of cheeses to pair with. In the frozen foods section, there are no TV dinners, rather a plethora of pelmeni; round, petite dumplings filled with chicken or beef, and pierogi, which are similar to pelmeni but larger, and usually filled with potatoes and onions. The cherry pierogi or the sweet cheese-filled version makes a great dessert. But the No. 1 rule of having perfected an Eastern European meal — the thing to top it all off, quite literally — is sour cream. On everything. All the breads at Kiev Market are made fresh at its main location on North Nevada Street. Kiev's resident baker comes in at 2 am to start baking and preparing for the day. A giant mixer and bread slicer resides in the back room. Sometimes, the cashier may surprise a customer with free bread to take home. To satisfy sweet tooths, Kiev sells cakes made fresh two to three times a week from a company called Top Tier, supplying them with goodies like medovnik, a classic European honey cake, or peach cake, to name a few. Ice cream is available in the freezers and shelves are also stocked with European candy and chocolates. American visitors should buy a bagful and try to guess what the flavors are — it's like concocting a mystery bag. Suppliers for Kiev's products are in Ukraine, Moldova, Latvia, Russia and Belarus, while the meats are imported from several Jewish and Russian delis in New York. Besides food, the market also houses an apothecary section with essential oils and creams. Several shelves include books, novelty items, tea sets and souvenirs, like nesting dolls. For those visiting the market for the first time, Olga says you can't go wrong with the sweets. She suggests trying pryaniki (sweet scone-like desserts), halva (a confection of sesame paste) and bubliki (ring-like crackers to go with tea) and any of the candy or cakes. At Kiev Market you won't find customer service that resembles the American ideal of chirpy banter and enormous, often-forced smiles, but you will find employees who are helpful, hardworking and genuine. And over time, Olga remembers her usual clients. "Each customer I remember has their own warm greeting, and each customer is unique," she says, recalling that her staff often know regular customers' orders ahead of time. The original print version of this article was headlined "Market of the Motherland"